If you've already plowed your way through (get it? plowed?) the first nine Super Crops in FarmVille, receiving your shiny Gold Mastery Signs for each, you'll be thrilled to know that an additional set of Super Crops will be launching sometime in the future, as FarmVille forums user zyarah has discovered that they're already "available" in the iPad/iPhone version of the game, but with a catch. Of course, the catch is that they're broken, as planting them will result in an out of sync notice, but it does let us know exactly which Super Crops are coming, along with their supposed stats. 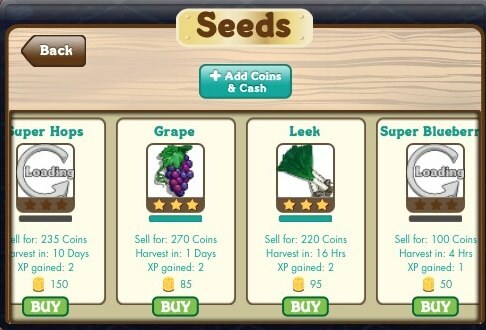 Again, while you're technically allowed to plant these crops in the iOS versions of the game, doing so causes an out of sync notice, refreshes your farm, and doesn't save. Presumably, we'll have to go through the same unlocking process for these crops as all of the others, and they'll have the same shiny mastery signs to match. Either way, we'll make sure to let you know when these crops eventually become available in the Facebook version of the game, so keep checking back with us. 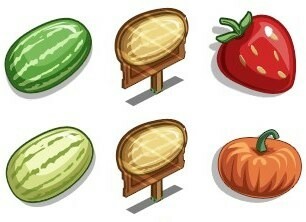 Can you see any of these Super Crops in the iOS version of FarmVille? Have you tried planting them? Which of these crops will you try to unlock and master first? Sound off in the comments.